It was then, after Brin’s momentous journey, that I was contacted by Cpt Mark to ask if I would be able to offer Brin a permanent home. To be honest, despite all the hours and months involved with raising awareness and funding to get him to the UK I had not expected to be asked to care for him. Owning domestic dogs is a very different ball game to caring for a feral one. Although, from all I had learnt, he seemed a fairly chilled chap I was also certain there would be quite a few obstacles involved in the rehabilitation of such a dog. Discussion with my family about the possibility of having Brin here was, understandably, not without it’s concerns. Three elderly dogs and a cat did not bode well to bring yet another into the fold. Mark was unable to offer a permanent home due to the nature of his work and looking back I realised that he had never actually said he could..he just wanted Brin saved if possible. So a new dilemma evolved. It was decided that we would ‘give it a go’ if Brin passed the screening in Kabul for the onward flight. He would undergo six months quarantine, which would give ample time for getting to know whether it would work or not. I knew, deep down, I already adored him but tried hard not to let that show, even to my family. His face, from the very first time I had seen him, had bored deep down into my heart and held on tight. On the 13th September a new text came through. 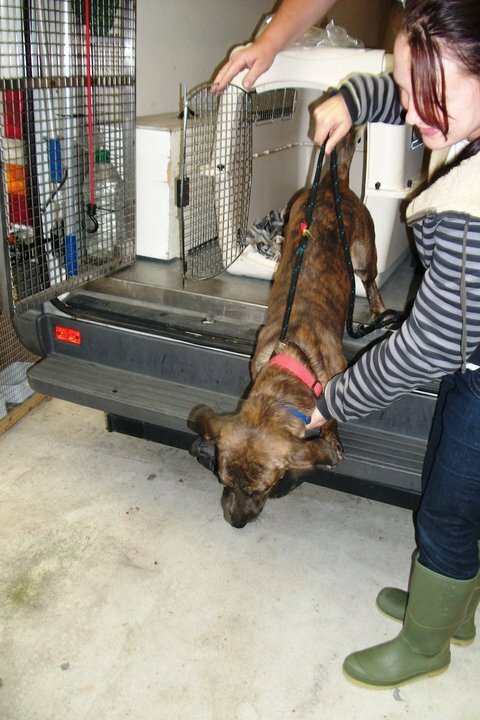 Brin had passed his tests and was now on his way to Frankfurt for a stop over and further vet checks…and from there he would arrive at Heathrow on the 15th and from there he would go to a quarantine just outside of Brighton, approximately 40 minutes from door to door. I cannot explain my emotions at that point. It is hard to put into words. I know I looked at all the paper surrounding me along with the ‘stickit notes’, photos and thankyou cards strewn all around my room.